I’m not sure this is an “organizing” post, but it is such a great idea, I had to share it. I guess you could say that you are organizing your herbs with this idea, right? I found this image from thekitchn.com. 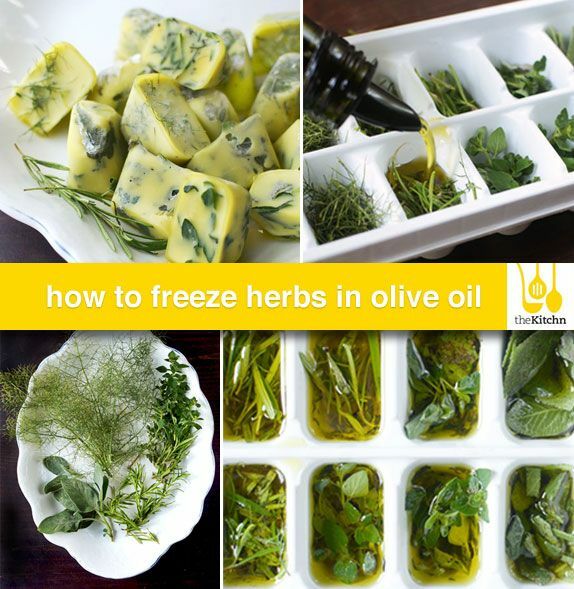 On their site, they share with you the steps to freezing your fresh herbs in olive oil. They also share which herbs freeze well and which do not. Then during the winter, you can just pop out one of these “herb cubes” and use it to cook with.